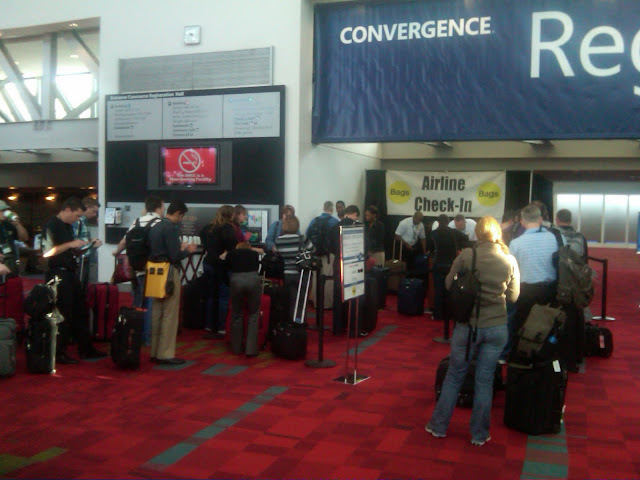 By the time you read this post, Microsoft Dynamics Convergence Atlanta 2011 will already be something of yesterday. Many of you will already be home, thinking of spending a relaxing weekend with family and friends or simply catch up on some sleep. 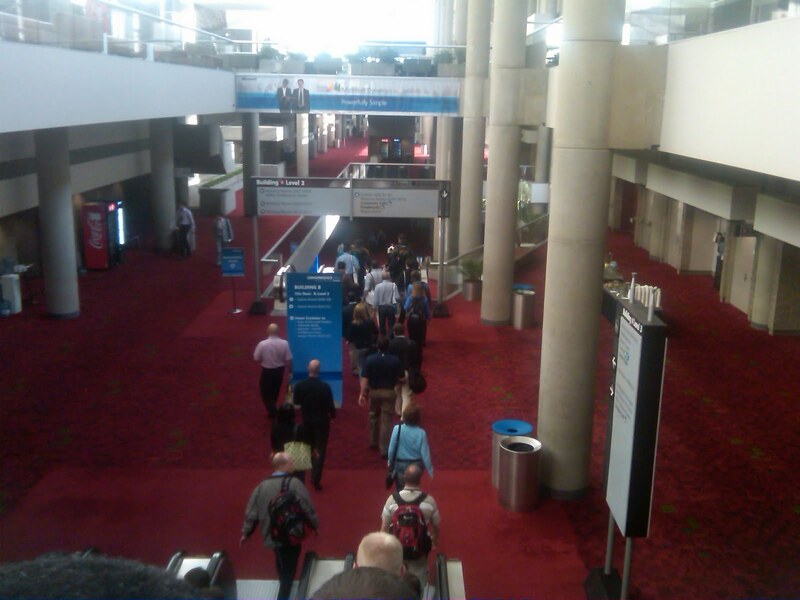 My day started with a bit of a rush trying to get to the closing keynote session in Hall B5 where David had already reserved me a seat upfront with the GPUG elite, but on my way, I couldn't help to see the amount of people already checking in their bags to get out of town. Also, this showed how organized this event was from the very beginning. Still, I was pleased to know I wasn't the only one running late - not an excuse, but some comfort nonetheless. As I entered the hall and sat next to David the Nick Brophy band was already setting stage for the closing session. The closing began with the Danger Game. Three attendees were selected to shoot down a stack of soda cans with just a rubberband and their fingers. The host explained the rules to the game participants and off they went with knocking down the cans by slinging the rubber band. When the game was over, Vice President of Microsoft Dynamics Partners, Doug Kennedy, came out to talk about the success of this Convergence event and provide some highlights and interesting facts. As I looked at the facts, i realized how hard it is to rationalize the magnitude of this event. It's pretty easy to say 9,000 people attended the event, but you really can't wrap you head around the amount of things that need to happen behind the scenes to make something like this happen. Also, you can't imagine how you, as an individual, impact the numbers below on the picture. One of my favorite parts of the closing session was - as I am sure it was for many of you - the introduction of the Youth Ensemble of Atlanta (YEA) organization and the announcement that Microsoft Dynamics Convergence would be donating five dollars ($5 USD) to the cause for each evaluation turned in by each one of you. The YEA's main mission is to help kids develop and tranform their world through art. And they had quite a presentation of their own too! The show was fantastic with phenomenal vocals and coordinated and well synchronized dance. Everyone in the attending crowed cheered and clapped for minutes at a time once the kids were finished. Because of the excitement and all the activities, I will continue narrating all the events that took place throughout the day in three more posts, so stay tuned.